The Murder On The Orient Express Blu Ray stars Johnny Depp, Michelle Pfeiffer, Kenneth Branagh, Daisy Ridley, Judi Dench, Penelope Cruz, Josh Gad and Willem Dafoe. A lavish train ride through Europe quickly unfolds into the thrilling mystery of thirteen strangers stranded on a train, where everyone's a suspect. One man must race against time to solve the puzzle before the murderer strikes again. 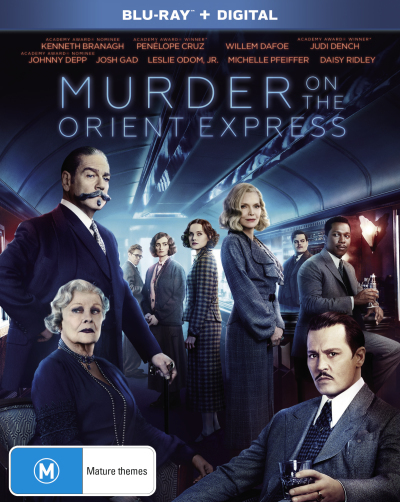 Click the button below to add the Murder On The Orient Express (2017) (Blu Ray) to your wish list.